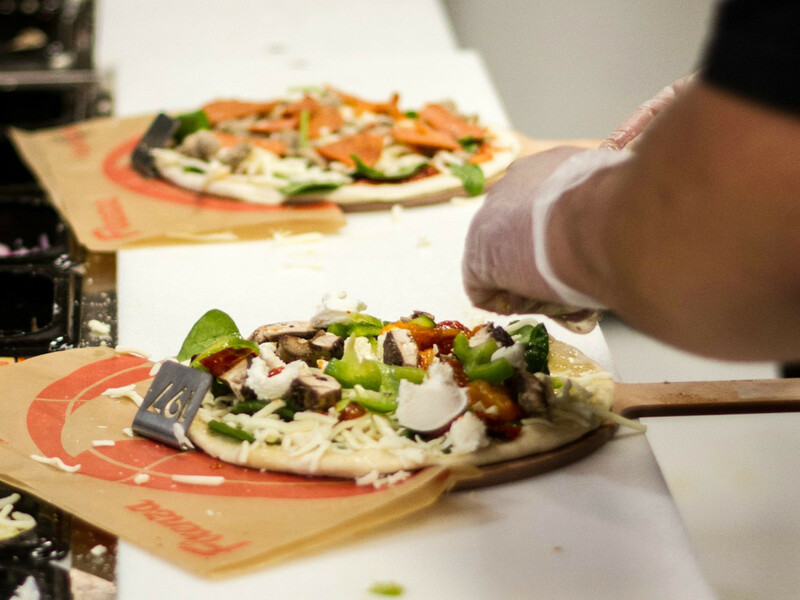 A new fast-casual pizzeria where you choose your toppings and get your finished pizza just minutes later has opened in Frisco. Firenza Pizza is now slinging pies at 16100 TX-121, in a new center in Frisco on the border of McKinney. On the west side of Custer Road, it's Frisco. Cross the street and you're in McKinney. It's magical. 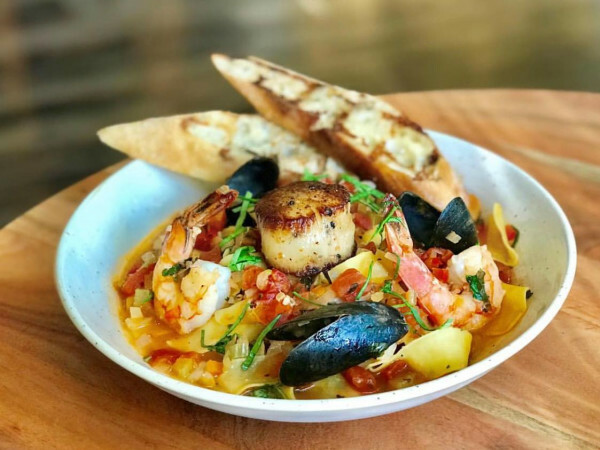 According to a release, the restaurant is owned and operated by Jim and Lara Glazar, who moved to Frisco 12 years ago and wanted to participate in the local economy. "After traveling for work for years, I'm excited to work closer to home and be a part of the expanding community," says Jim Glazar in a release. Firenza Pizza was founded in 2015 by Dave Wood and Dave Baer, two former Domino's Pizza franchisees in northern Virginia who jumped on the wave of Neapolitan-style quick-serve pizzerias. Their goal was to develop their own restaurant concept with a fast-casual service model serving artisanal pizza that baked quickly. 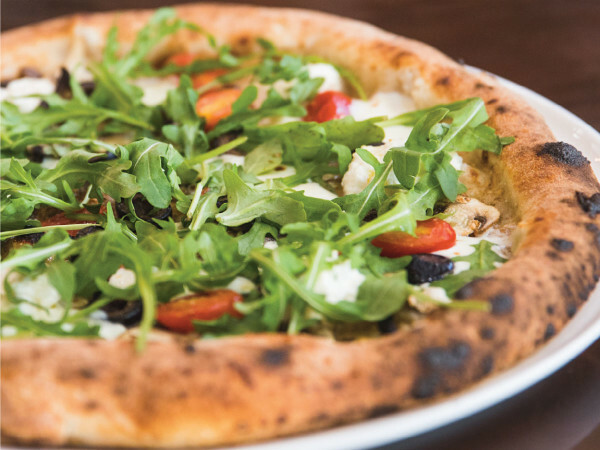 Something along the lines of 800 Degrees, Pieology, Blaze, Spin, Project Pie, Pizza Snob, Pie Five, Top That, Uncle Maddio's, Live Basil Pizza, Pizza Studio, and Persona Wood Fired Pizza. Firenza specializes in made-to-order pizzas that can be customized with nearly 40 fresh toppings including garlic, mozzarella ovalini, and various meats. They also offer 10 chef-inspired signature pies. The primavera fresca comes loaded with vegetables. The Big Kahuna features smoked ham, bacon, and tropical pineapple. Chipotle chicken comes with crema and pico de gallo. A current special is the hot chicken and waffle pizza, topped with hot chicken, waffles that themselves are topped with melted cheese, and bacon for some reason, along with Mike's hot honey and maple syrup. This is totally a case of you really don't need bacon on everything. Once the pizzas are assembled, they’re baked in an open-flame stone-hearth oven and done within five minutes. While convenience and price are important selling points, the priority is phenomenal pizza. "Unlike most other fast casual pizza chains where the crusts are premade and machine-pressed, our pizza dough is made in house and hand-stretched to order right in front of the guest," Glazar says, although one does wonder which fast-casual pizza chains he is talking about, since it seems like most of the places that have opened as of late are also doing dough in house. In addition to pizza, the restaurant offers salads, baked wings, meatballs, breadsticks, beer, and wine. They're open Sunday-Thursday 11 am-10 pm and Friday-Saturday from 11 am-11 pm. They're a little hard to reach: Their Facebook page offers no option for messages and their phone goes straight to voicemail. Today, there are 20 Firenza locations open and operating in 7 states, with 25 more in various stages of development. A location did open in Hurst in 2017, the first in Texas, but the website says it is "temporarily closed" for remodeling.